Oakland's famous and vibrant arts heritage is known throughout the country, but many people are unaware of the extent of this city's contribution to the national stage in terms of music, dance, visual arts, and literature. Black Artists in Oakland celebrates this amazing story over the past half century through vintage images, from the early days of Slim Jenkins's nightclub to the changing styles of Esther's Orbit Room and the Malonga Casquelourd Center for the Arts. More than 200 photographs lift the curtain on many inspiring artists—masters in their chosen aesthetic and neighbors to the community. Among the artists highlighted in these pages are Ruth Beckford, Raymond Saunders, Alice Walker, and E. W. Wainwright. Authors Jerry Thompson and Duane Deterville have spent decades in the Bay Area working in all aspects of community service, publishing, and visual arts. Thompson's work has been published in many literary journals and anthologies, while Deterville (cofounder of the Sankofa Cultural Institute) has written for such magazines as The Green, The Black Dot, and the San Francisco Bayview. 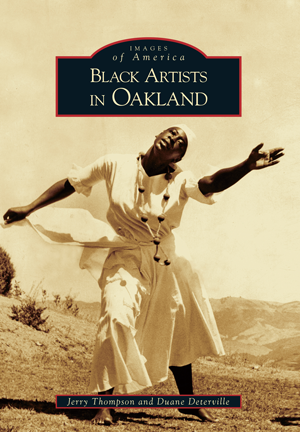 Culled from private and museum collections from all around Oakland, this volume showcases Oakland's best artists, spanning from traditional disciplines to the avantgarde, from the 1940s to the 1990s.